A Pokémon Go player has been attacked and robbed whilst streaming live on his Twitch channel from New York's Central Park. Known to his viewers as Rickeybot, the player was filming late at night on a well-lit path that runs through the center of the park when he was punched to the ground by an attacker. The assailant then stole the phone and ran from the scene whilst the stream continued to broadcast from the device. He eventually managed to shut the stream off, though not before his face was caught on camera. Rickeybot's viewers were quick to call the police when the robbery happened, and have been posting higher quality images of his attacker in an effort to help identify and catch him. The entire ordeal has been uploaded and can be watched here, though be aware it doesn't make for pleasant viewing. In a message posted to Twitter later in the evening, Rickeybot let everyone know that he was talking to police and would go on to the hospital as his jaw was "a mess." 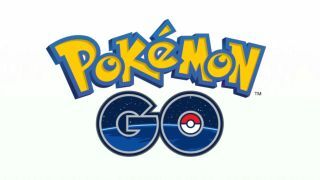 The man behind the attack hasn't been apprehended by police just yet, but this incident is a strong reminder of the importance of taking care and being aware when playing mixed-reality games like Pokémon Go. Though reports of how the game has been bringing people together are widespread, it's worth bearing in mind that criminals exist even in the Pokémon world and we should take care and stay aware when out late at night, particularly when we're using valuable pieces of tech.